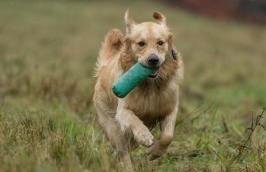 In keeping with their calmer temperament, the Novice retriever will now be expected to walk to heel throughout the training session and to sit alongside the handler until called by the Trainer. 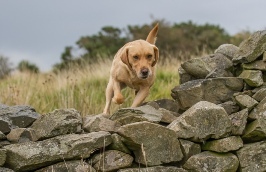 To reflect their role in the field, a greater emphasis will be placed on developing the dogs’ confidence in being able to mark dummies at increasing distances and to deliver them in the correct manner. Directional handling will also be introduced to enable the dog to be handled at increasing distances for marked, memory and blind retrieves. 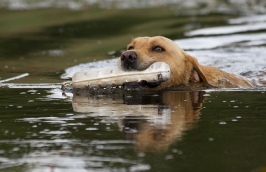 The dog will be encouraged to ‘hunt’ by using its nose, when necessary, to help it locate dummies that may have fallen in different densities of cover. Handling the dog over obstacles and in water is also undertaken.